Happy Halloween from Goldfinger Injury Lawyers! 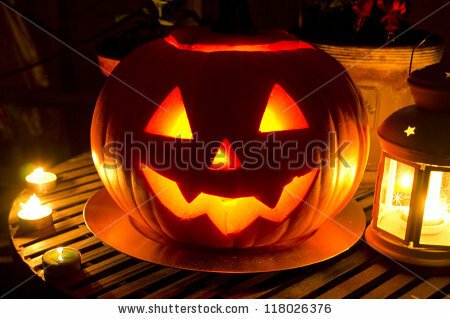 Halloween’s a fun Hallmark Holiday which everyone can enjoy. I remember getting really excited to go out trick or treating and returning home with bags full of candy. But, in my years of work, I’ve seen some nasty accidents which occurred on Halloween night. Trip and falls, pedestrian/car collisions, drunk driving accidents. Where I grew up, there was also a fatality where a driver lost control of his car and collided with a tree. The driver didn’t survive the crash. Nasty things happen on Halloween night. Don’t believe me? Here’s an interesting assault case and social host liability case based around a young adult party at a parents’ home which got out of hand on Halloween night. The case was tried at the Superior Court in Ontario. The young adult hosts served 56 bottles of beer, 24 bottles of vodka coolers, along with 2 bottles of rum, one bottle of vodka and a bottle of peach schnapps. Guests also brought their own alcohol. An assault ensued at the party, and the young adult host, along with the parents who owned the house got sued by the victim. It’s an interesting read and just goes to show that some crazy stuff happens on Halloween night. 1. Don’t wear a dark trick or treating costume: If you or your kids are going out trick or treating, don’t wear a dark costume. Just because it’s Halloween, doesn’t mean that the roads are closed or that people stop driving. It gets dark much earlier this time of year; so wear something that motorists can see. Reflectors aren’t such a bad idea. Flashlights are fun too and are duly safe. They help with visibility and let others know you’re there. 2. Slow down: EVERYONE gets excited for trick or treating. When the adrenaline gets going and levels of excitement increase, people tend to speed things up. Trick or treaters run from house to house, or run across the street. People driving to their Halloween parties might drive a bit faster to arrive at their destination because they’re excited. Knowing that children are going to be out on full force, it’s important for motorists to slow down and pay better attention to the roadway. The same goes for trick or treaters. And just because it’s Halloween, doesn’t mean that trick or treaters are invincible. The same laws of physics which apply to slip and falls everyday, also apply on Halloween. So pay attention to where you walk, hop or step as you’re going from house to house. We’ve had a few ankle fracture cases and slip and fall cases arise out of youngsters going from House “A” to House “B”, only to step into a hazard and cause injury. 3. Drink responsibly: Halloween is about candy for kids. Halloween is about crazy costumes, candy and booze for adults. Adults: watch your drinking. And don’t drink and drive. Call a cab. Get a designated driver. Stay overnight. Take transit. Whatever you do, don’t drink and drive. 4. Inspect what you eat: I was taught this in grade school at a very young age. But some of you at there still don’t do it. Keep in mind that there are some very sick people out there in our communities who do some nasty stuff. Check your kids’ candy. 5. Double bag: This is both a safety tip and a candy saver! Some kids use pillow cases to trick or treat. They work great because they’re sturdy. If you’re going to use a plastic bag; then double bag it. There’s nothing worse then having that bag break while crossing the street. Then the trick or treater kneels down to pick up his/her candy in the middle of the roadway; then an oncoming car approaches. The car can’t see the kneeling trick or treater while they’re hunched down on the road scrambling to pick up their candy. I don’t need to finish this part of the story. Kids get very focused on their candy and losing it is like the end of the world. Safety, even for the most level headed and responsible kids goes out the window when Halloween spoils are at stake. All of this can be avoided by double bagging. If you follow all of those tips, I’m quite certain that you and your family will enjoy a happy, fun and safe Halloween this evening. 1) Jonas Valenciunas (sp? who cares! ), Tyler Hansborough and Amir Johnson are all basically the same player, just all slightly different sizes. Amir hung out with Bargnani this off season and decided it would be cool if a low post rebounder could shoot the three. If the team’s goal is to TANK, then get Aaron Gray healthy and let him play big minutes. Nothing against Aaron Gray. I like him and loved him when when was a Pitt Panther. He’s a serviceable NBA centre. It’s just that the energy provided by Jonas, Tyler and Amir is greatly superior than any other front court from the opening whistle to the final buzzer than any other in the NBA. Add to that Acy? So, if they want to TANK, then that front court is a bit too energetic to do so. Trade Hansborough for a 2nd round pick and some cash. Trade Amir (I LOVE AMIR), but trade him for some future picks. Bring back Hoffa and Yuros Slokar. Be worse. Go sign some big slow white guys who have been playing in the Euro league. 2) I’m saying it now. If Toronto doesn’t make a conscious move to TANK, they WILL make the playoffs as a 6-8 seed, or finish 9th just out of playoff contention. As far as I’m concerned, this is a failure of epic proportions. Trade Rudy Gay (I LOVE RUDY GAY), but he won’t help us tank. He is far too skilled. I’d also trade Demar Derozan as well (I LOVE DEMAR). But he’s become a pro and he’s gotten too skilled to tank. Play Terrence Ross more if you’re going to tank. Terrence Ross hasn’t figured it out yet. 3) Speaking of Terrence Ross, did he not practice basketball in the off-season? Please tell me that somebody worked with him on his handles and jump shot. 4) Congrats to Kyle Lowry on going to the gym and focusing on a better diet. He looks much better. It amazes me that more pro athletes aren’t as stubborn or crazy like Gary Roberts when it comes to health, diet and nutrition. 5) The sound F/X during the game remain insanely annoying. Go to any other arena in the NBA, and they don’t play half the sound F/X that you hear at a Toronto game. 6) Bon Jovi, LT and Lewicke sitting together on the sideline was such an awkward grouping of individuals. Can you imagine the conversation between those three?